I remember where I was when the hell of Hillsborough broke out in 1989. As a teenager, I flicked on Grandstand on BBC One to find out what was happening in the FA Cup semi-final between Liverpool and Forest. This was a time when the FA Cup was an event for the neutral football fan. I can tell you now all the results of all the 1980’s FA Cup finals…I could probably recall some of the semi-finals too, but if you asked me to name the results of the last ten years of FA Cup finals, I would struggle. As the live footage rolled of Liverpool fans trying to escape the metal-caged death trap of the Leppings Lane stand, John Motson seemed lost for words. Why would fans invade the pitch now? It was soon clear to him, that something was very wrong. The results as we all know were horrific. The BBC without knowing it was actually showing live pictures in the afternoon of people dying. Like a rabbit in the headlights, the broadcaster and it’s viewers were both in shock. Who was at fault? Well, for middle England, football fans were easy targets. Also, they were convenient targets for the blame game at the time, as the government after all were still trying to get their I.D. scheme through. Football fans were classed as animals, that’s why the police had instructed clubs to put them in cages. 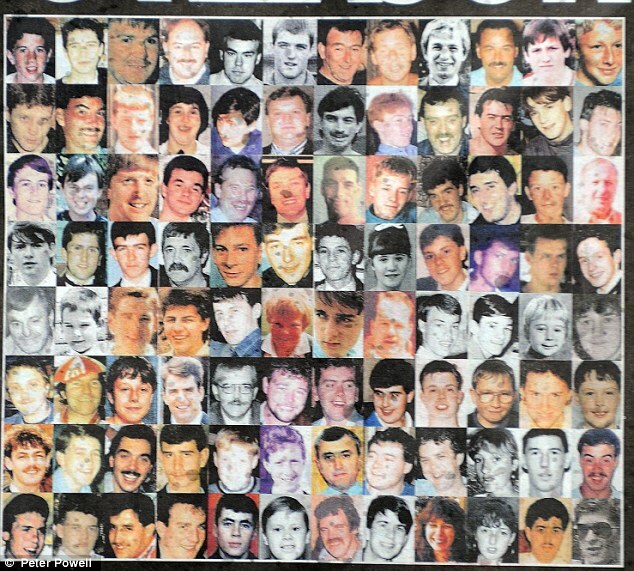 You’ve read elsewhere, the rest of the journey to get justice for the 96 fans that lost their lives that day. But today was a big day for the tireless work of honest, earnest, virtuous and ordinary individuals, who after losing love-ones decided they weren’t going to take it and would against-all-odds take on the system. They went head-on with the powers of the police, government and the media, who lied, obstructed and insulted them along the way. After 23-years, they beat them all. Their victory was justice for the truth. If you’ve ever read 1984, you’d know that author George Orwell would have been proud. 2. The then chief constable of South Yorkshire Peter Wright and his officers, with the help of local Tory MP Irvine Patnick, sought to cover up the failings, briefing media that drunken, ticketless fans and violence were to blame. The Government helped them cover it up as a thank you for their work during the miner’s strike. 8. There was also no evidence to support the proposition that alcohol played any part in events. 10. The panel also found that access to Cabinet documents revealed that in an exchange about her Government welcoming the Taylor Report into the tragedy, then prime minister Margaret Thatcher expressed her concern that the ‘broad thrust’ of the report constituted a ‘devastating criticism of the police. Isn’t it about time football supporters were finally treated with more respect?